Cherry Tree Cottage is on the right. There is an open plan living area with armchairs, dining table and a corner kitchen. 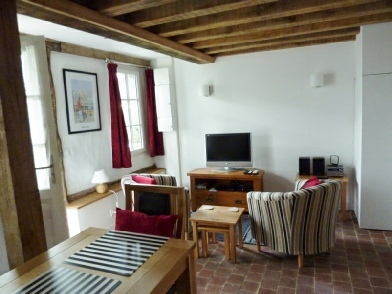 There is UK & French TV, wifi and thermostatic wall mounted heating. 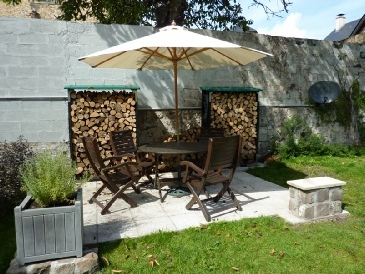 The cottage has its own secure off street parking place and its own terrace, plus the use of the communal garden. 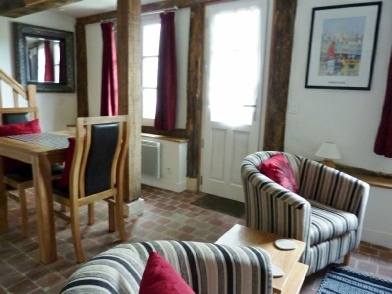 The double bedroom has a built in wardrobe and en-suite shower room. 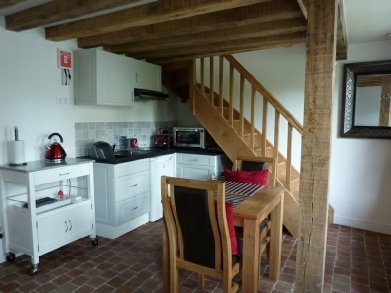 The Cottage has exposed oak beams and reclaimed terra cotta tiles on the ground floor and has an oak staircase. 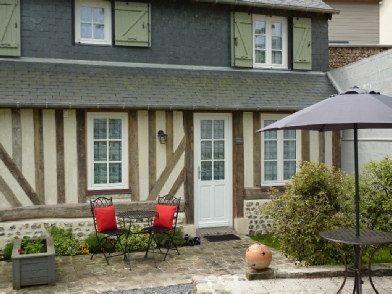 Every effort has been made to retain the charm of the Cottages. 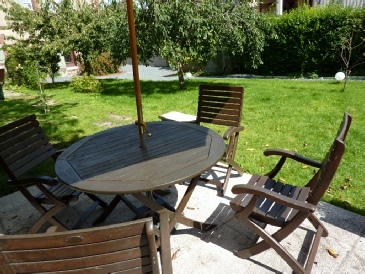 There is a kitchen area, dining area and seating area with 2 armchairs and TV. This living space is very well appointed and comfortable. 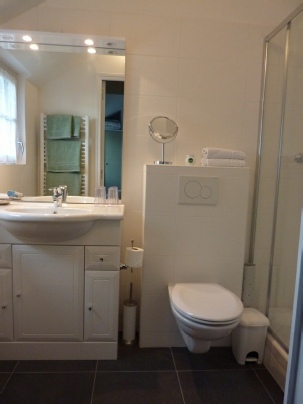 The en-suite has a large shower, toilet, basin and heated towel rail. There is a window for ventilation. 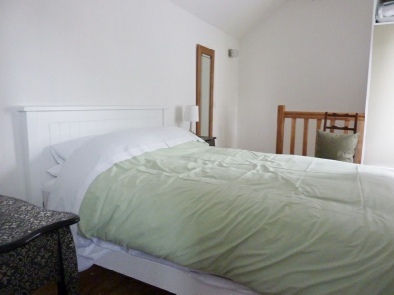 The bedroom has a 1.4 meter (4ft 6in) double bed with a 9”deep pocket sprung mattress. There is a fitted wardrobe and side tables. The window is double glazed and overlooks the garden. The kitchen has a double electric hob, combination oven/microwave, fridge with freezer compartment, extractor, toaster & kettle. 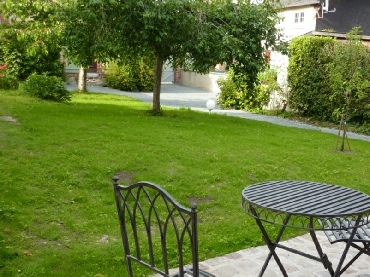 View of the garden from the terrace. 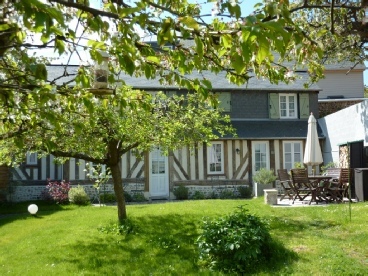 View of Cherry Tree Cottage.